Serving all of Orlando with quality dentistry for children and adults, Your Downtown Dentistry is committed to improving your oral health, without sacrificing your comfort. In the first part of our two-part series on our dental services, we have outlined both our preventative and restorative dental services. In today’s post, we will be expounding upon cosmetic dentistry, Botox®, and dental implant services. 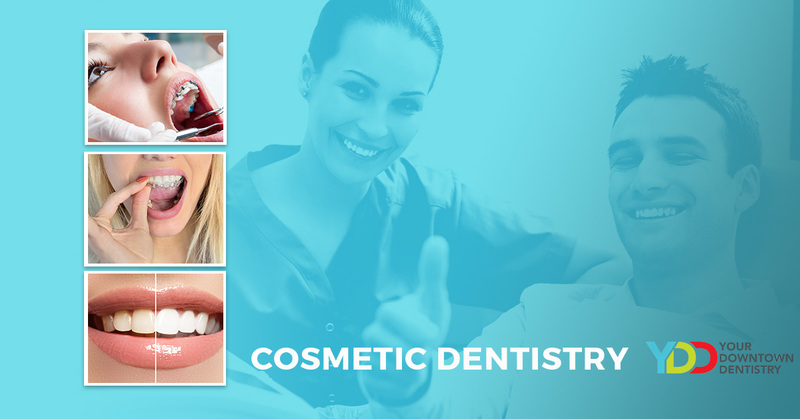 If you are interested in learning more about any of the cosmetic dentistry services listed above, please don’t hesitate to get in touch with us today! One of our newest services we are proud to offer our Orlando clients, Botox treatment is now available to combat the aging effects this Florida sun can have. Botox is a dermal injectable that is made of a purified form of botulinum. The pain factor isn’t as severe as it once was, given modern dental techniques. Although side effects are rare, they can include headache, respiratory infection, flu, and nausea, among others. As your downtown Orlando Botox provider, let us know if you would like to explore Botox treatment as an anti-aging skin treatment. Bone Loss Prevention – Dental implants give the jawbone the proper stimulation for bone preservation to maintain your health. Natural Feeling Teeth – Your teeth will feel, look, and act as natural, organic teeth. Most patients are shocked to find that there is no tangible difference between their original teeth and the implants. Conservative Restoration – As opposed to bridges, our operation will not require a grinding down of two adjacent teeth. There is no damage to your other teeth, minimal or otherwise. Long-lasting – As we mentioned above, our dental implant services are permanent, durable, and stable. Our implants are comprised of titanium, as it’s a material which is non-corrosive and is sure not to harm our patients. We hope you’ve enjoyed this brief tour of our services offered at Your Downtown Dentistry. As Orlando’s Top Rated Local® Family Dentistry Office, we are committed to helping you get the most beautiful smile you have ever had. Your oral health and comfort are our chief goals, so if you are ready to get the professional and quality dental care you deserve, schedule your appointment today!